THE rise of far-right political party the Australian Liberty Alliance has sparked fears in NSW Parliament of a resurgence of One Nation-era intolerance. 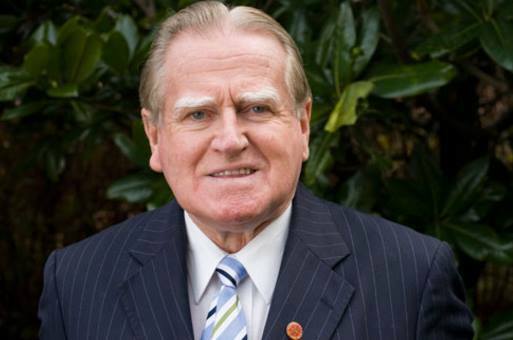 Labor upper house MP Walt Secord asked the government to respond to Reverend Fred Nile's comments that the Christian Democrats would "work with them" and exchange preferences at the next election. "Wear your bigotry like a badge, Fred," Mr Secord said. In his response, Multiculturalism Minister John Ajaka quoted the Australian national anthem's lyrics: "For those who've come across the seas, we've boundless plains to share". "We come from more than 245 different nations and we practise more than 125 different religious beliefs in this state," he continued. "However, sadly, recent events at home and abroad have reinforced the necessity to be vigilant and to guard against the spread of racial vilification and racial hate. "We cannot allow violent race-hate speech to fan flames of division and tear our community apart. I, for one, will never accept that." Rev Nile said Federal Labor would have to number preferences for the Australian Liberty Alliance in the upcoming election due to compulsory preferential voting for all parties. "The Australian Labor Party will have to vote for them," he said. Controversial Dutch politician Geert Wilders launched the anti-Islam party in Perth last month, saying it was part of a global push against the "Islamisation" of the western world.